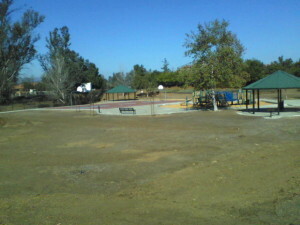 On February 12, 2014 one of the City Council Persons asked why none of the parks were open and how long it would take to at least get the Basketball and Gazebo areas open. This Council Person was assured it would happen within a couple of weeks. I just went by the Three Parks and Welch Field, couple of weeks after that council meeting. Status: Same as it has been since the GDS. Nowhere close to opening. Windsong Park, the one official park with access to Reclaimed or Recycled Water, still has an enormous mound of bark in the middle of the future grass area. 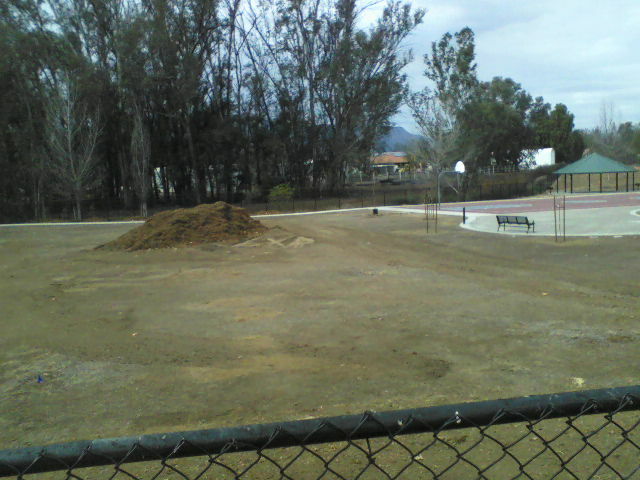 No Hydroseeding has been done therefore no grass for at least a couple of months. 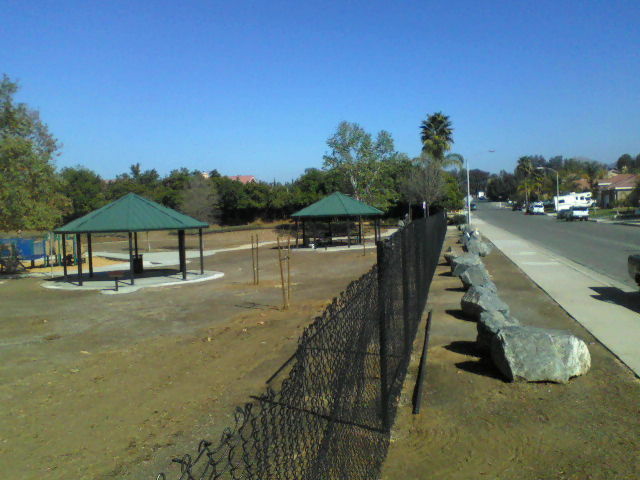 To be fair the City Manager did say that this park would open when a Security Company had been hired and the current fence removed which could be anytime between now and the new official opening day on April 12th for the City of Wildomar Easter Egg Hunt. The Pile and the Reason it Should not Exist. Where’s the Grass ? 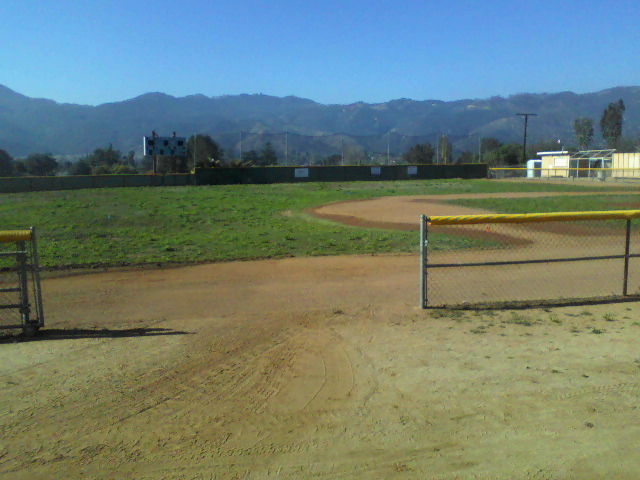 Welch Field, currently leased to the City of Wildomar, for ? These two ball diamonds which have access to Reclaimed Water are in the process of growing a really nice crop of weeds. There has been some cleanup done as the Measure Z sign is gone and piles of rubbish have been removed. One would have hoped that the City of Wildomar who plans to spend $10,000 for the cities birthday out of Measure Z funds would have spent a little to plant a proper field. This was originally promised to be done before the three parks were closed for renovation so the citizens would have a place to play. 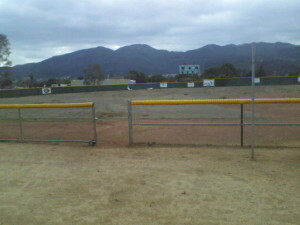 Marna O’Brien Park has had the most time and money spent on it, what with the ball fields all groomed and ready to plant, just waiting for rain as it would be irresponsible of the city to use potable (drinking) water for grass in the middle of a drought especially when the farmers in the state are facing mandatory rationing. Its good to see that maybe City Officials get it. Hopefully they will also get the importance of fixing the drainage system before the Regional Water District San Diego comes down on them like a ton of bricks for there failure to implement the requirements for post construction BMP’s which include stenciling all parking lot drains with “Only Rain in the Storm Drain, installation of a bulletin board containing educational material, maintenance of the filters required, etc. These items were originally the responsibility of the Riverside County EDA but the City of Wildomar claimed they were able to manage the parks on their own, so now its there responsibility. Regency Heritage Park, this is going to be the most interesting of all the facilities currently operated by the City of Wildomar. 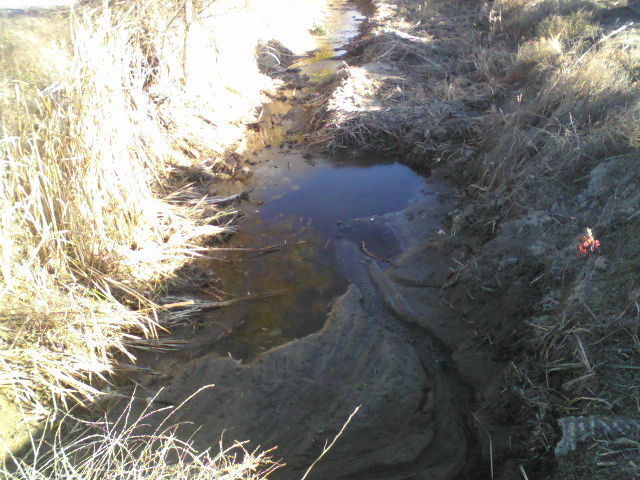 This parks currently receives unfiltered drainage from 3 separate directions, due to the City of Wildomar and Riverside County Flood Control not properly maintaining their respective MS4 (Drainage Sytems). 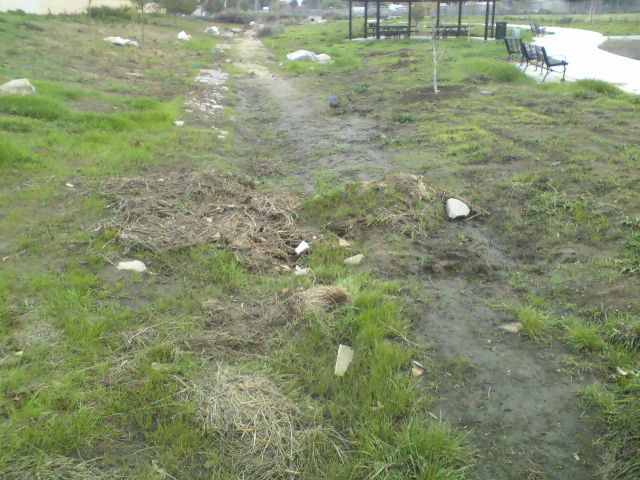 Because of the maintenance failures this park is currently buried in sediment. Some work has been done to remove this material but a whole lot more still needs to be done. 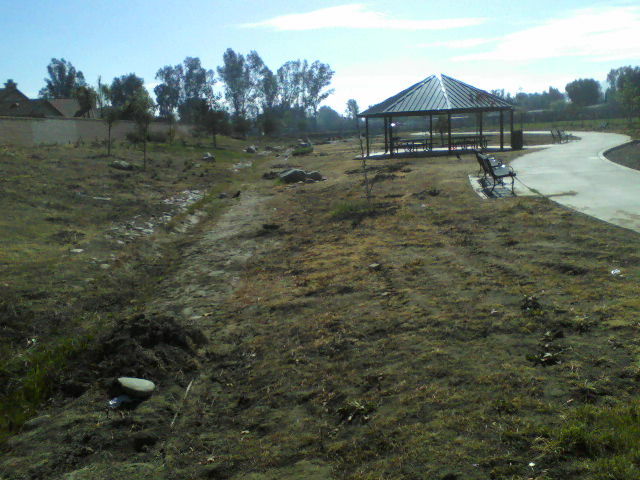 The “Dog Park” area is in shambles due to its being located at the outflow end of the park where the flow backs up due to PPP. The water doesn’t flow it trickles out creating a lake at that end of the park. The future of this park remains in question because now the County of Riverside has plans to build Open Channel A, a drainage system as part of the Lakeland Village Master Drainage Plan which is working its way through the approval process. This 42 foot wide channel will start at the South East end of the park flowing North West thru the entire length of the park and continuing to Corydon. This entry was posted in Parks and tagged Marna O'Brien, Regency Heritage, Welch Field, Windsong on February 25, 2014 by Kenny. 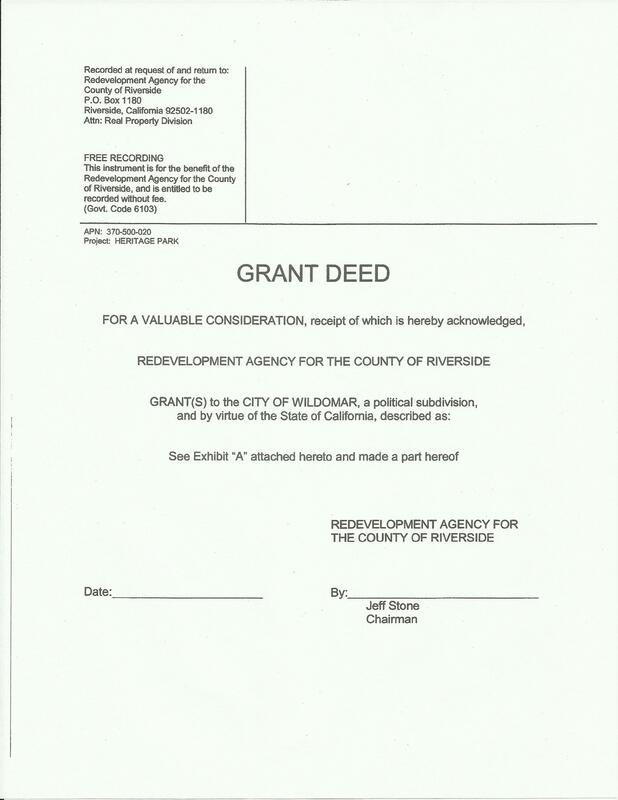 Upon city incorporation in 2008, the City of Wildomar adopted the Riverside County Municipal Code. The code includes an open space requirement of 3 acres of neighborhood and community parkland per 1,000 residents. As of 2012, according to the California Department of Finance, Wildomar’s estimated population was 32,719. As demonstrated in Table 3.10.7-1, the city’s current open space inventory includes 542.11 acres (220.92 Open Space Conservation, 306.93 acres of Open Space Recreation and 14.26 acres of Parkland), which surpasses the 98.16 acres required by the City’s Municipal Code. This statement was included in CITY OF WI LDOMAR, OA K CR E E K CANYON DEVELOPMENT , ADMINISTRATIVE DRAFT ENVIRONMENTAL IMPACT REPORT for which the City of Wildomar was the lead agency and completed in November of 2012. In the current Draft General Plan the City of Wildomar, again the lead agency along with PMC, it is claimed there are 232.2 acres of Open Space Conservation Habitat Land along with 183.1 acres of Open Space Recreation Land (which includes the current 41.26 acres of Parkland). A quick check of Western Riverside County Regional Conservation Authority website http://www.wrc-rca.org/interactive_map.asp shows that the city of Wildomar currently has 656.4 acres of Open Space Conservation Habit land. I am still researching the Open Space Recreation Land but with out a current map of what the city claims is Open Space Recreation land one has to go by the previous map done by the County of Riverside which past research has shown includes a sewage treatment facility, maintenance facilities along with other non-recreational uses. With such a disparity in numbers one has to wonder just how many more errors there are in this document the City of Wildomar is claiming will be our salvation. 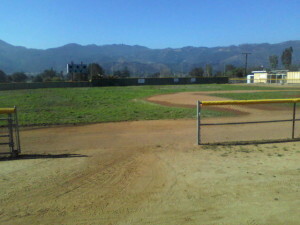 This entry was posted in Future City of Wildomar and tagged General Plan, Open Space Conservation, Open Space Recreation, Wildomar on February 24, 2014 by Kenny. The San Diego Water Board workshop scheduled for Friday, March 14 (referenced below) has been canceled. It has not been rescheduled. We apologize for any inconvenience. 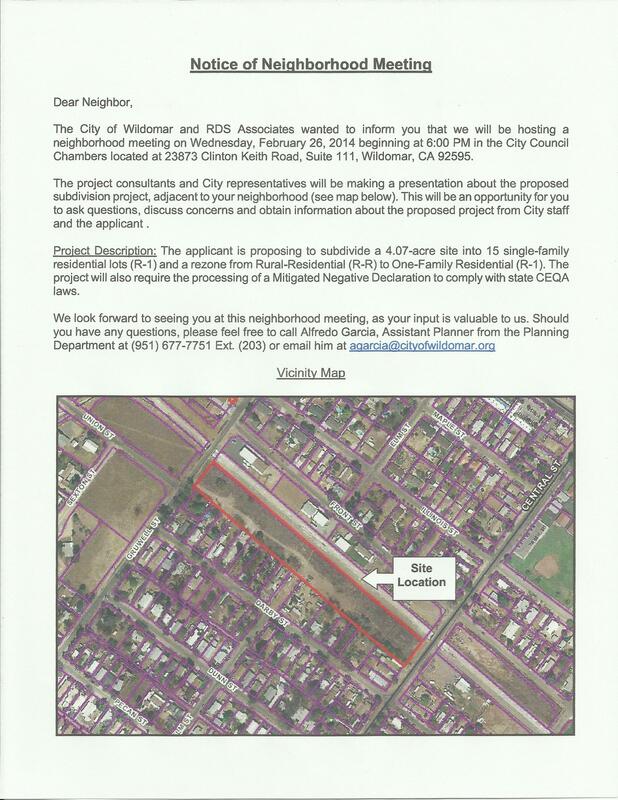 In light of the recent dredging activity on the Murrieta Creek in the vicinity of McVicar St., Wildomar, CA entirely due to the proposed housing development at Palomar St. and McVicar, public comments on this draft resolution should sent, after reading it of course. 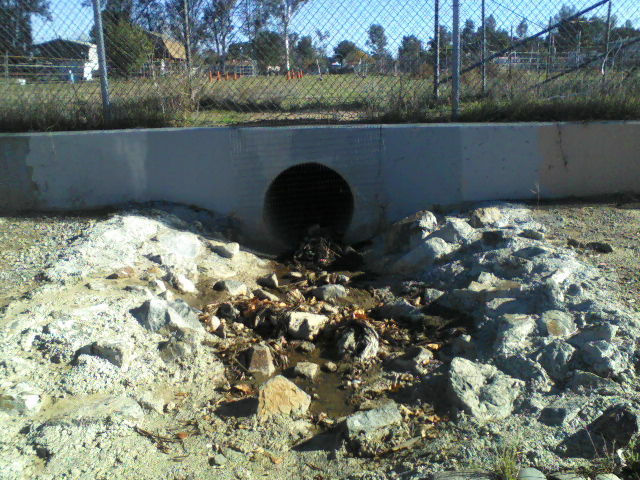 This entry was posted in Water and Drainage Issues and tagged Murrieta Creek, Region 9, San Diego Water Quality Control Board on February 19, 2014 by Kenny. At the most recent Wildomar City Council Meeting held on February 12, 2014 a plaque was presented to Supervisor Kevin Jeffrey’s for his efforts related to the turning over of money collected by Riverside County that rightfully belongs to the City of Wildomar. I like Supervisor Jeffrey’s and applaud his efforts in cleaning up the books of Riverside County in a attempt to get the county financially on track. What I despise is the attempt by the City Council in making this presentation is the mentioning of Supervisor Jeffrey’s help in turning over to the City of Wildomar the Eastside Parkland and $300,000 in Quimby Fees in the same breath as the $661,859 additional monies now being turned over, leaving one to believe there would be almost 1 MILLION DOLLARS available for the new park. Just as when the $300,000 was turned over with the new parkland, the City of Wildomar failed to mention this money had already been earmarked for a DG Trail at the new park. What was not mentioned with the announcement of this new money is that it is already earmarked for projects not yet completed. 2.$508,442.08 for 1500 feet of Curbs Gutters and Sidewalk on La Estrella between David Lane and Via Sarah. It will be years and many homes into future before this is done as a bridge needs to be built connecting two sections of La Estella. 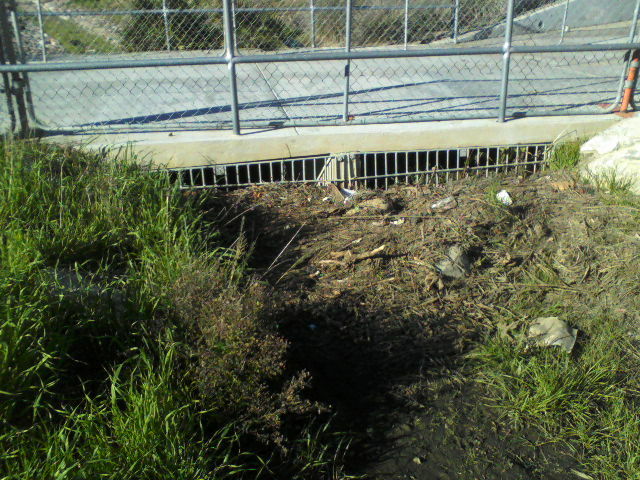 3.$65,801 for Curbs Gutters Sidewalks and Paving on La Estrella from Crossroads westerly 700 feet. 4. $45,889.86 for 700 feet of half median project on Palomar at Meadow Ridge Lane. 5. 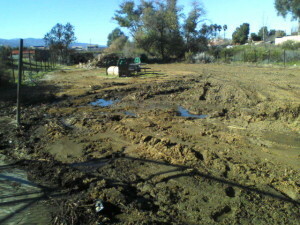 $38,376.00 for 600 feet of offsite road at Starbuck Circle and Palomar St. This entry was posted in Shenaigans and tagged City Council, DIF, Wildomar on February 17, 2014 by Kenny. After reviewing the Draft Program Environmental Impact Report for Lakeland Village Master Drainage Plan available at http://www.floodcontrol.co.riverside.ca.us/, bottom of the page under Public Notices (CEQA/Section 18). One can only wonder what is in store for the future of Regency Heritage Park. Why is the City of Wildomar continuing to spend money on what is over time being transformed into a real flood control channel. 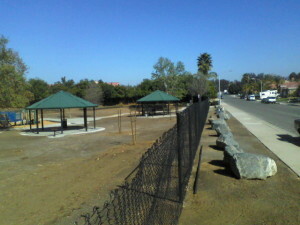 This park started life as a parcel of land dedicated as open space and drainage easement that was dedicated in April of 1992. The easement exist even without the dedication because this is a natural low spot in the topography of the area. 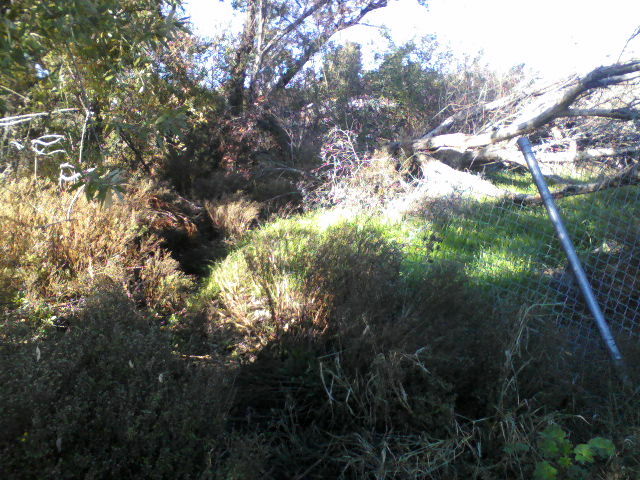 This parcel was subsequently acquired by Ortega Trails Recreation and Park District for use as a park. In the following years, 2005 and 2008, several drainage programs were completed adding to the runoff from the surrounding area that now flows through this park. Sedco-Bryant Street Storm Drain which begins in the hills west of the park. A portion of this drainage issue was addressed by the County of Riverside EDA when they rebuilt this park in 2007-08 as part of the rehabilitation of 4 parks in the area (Marna O’Brien, Perret Park, Regency Heritage and Windsong). 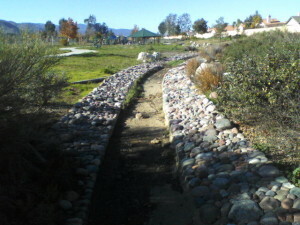 The county added a drainage channel which collects water from three drainage facilities and guides it through the park. 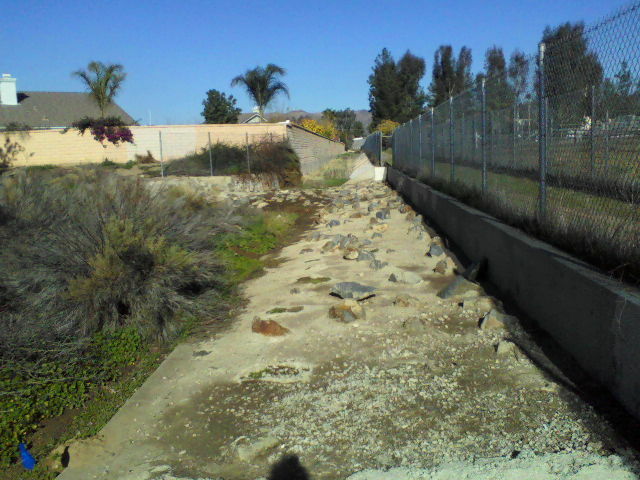 What the county failed to do was to continue this channel all the way to Corydon where it would tie into an existing facility that takes it under Corydon and on to the back basin of the Lake at Elsinore. This failure creates a lake at the south end of the park whenever it rains. 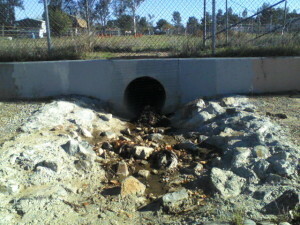 Both the County of Riverside and the City of Wildomar also have failed in maintaining their MS4 systems (Storm Drains) which allows for enormous amounts of sediment and trash to collect at the current downstream terminus of these storm drains. 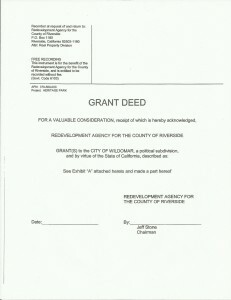 As a final note this may be the reason the City of Wildomar has never filed the Grant Deed for this property as it is still shown to be the property of Ortega Trails Recreation and Park District even though the County issued this Grant Deed on June 22, 2009. 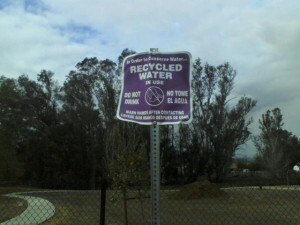 This entry was posted in Parks and tagged Flood Control, Parks, Regency Heritage, Wildomar on February 14, 2014 by Kenny. The City of Wildomar is at it once again. They will be holding a neighborhood meeting (this means they notified only the people within 600 feet of the project). 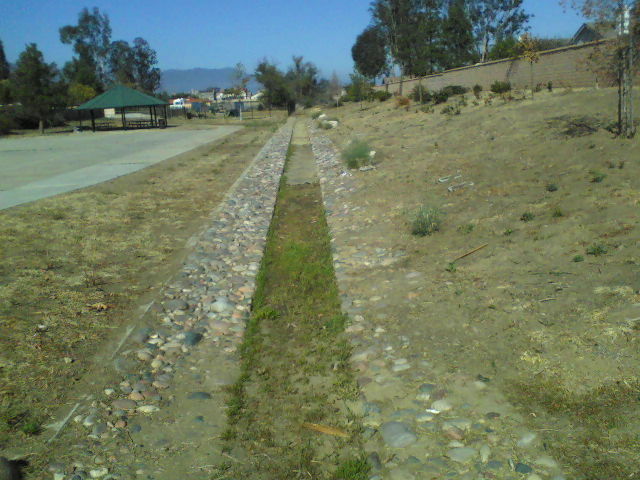 This project which abuts the Murrieta Creek (aka Flood Control Channel) on one side and the backyards of the homes on Darby St. on the other, between Gruwell St. and Central St. The City of Wildomar will attempt to shoehorn 15 parcels into a space approximately 140 feet in width X 1262 feet in length. This parcel currently has access along its ends at Gruwell St. and at Central St. and at the end (terminus) of Elm St. In order to gain access to all of the parcels a road is going to have to be constructed either along the Murrieta Creek or the backyards of the existing homes on Darby which will narrow the depth of these parcels substantially. 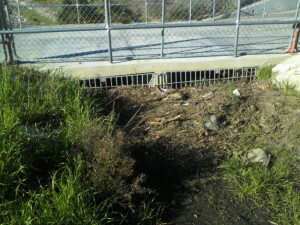 This will also prevent any future widening of the Murrieta Creek at this point. 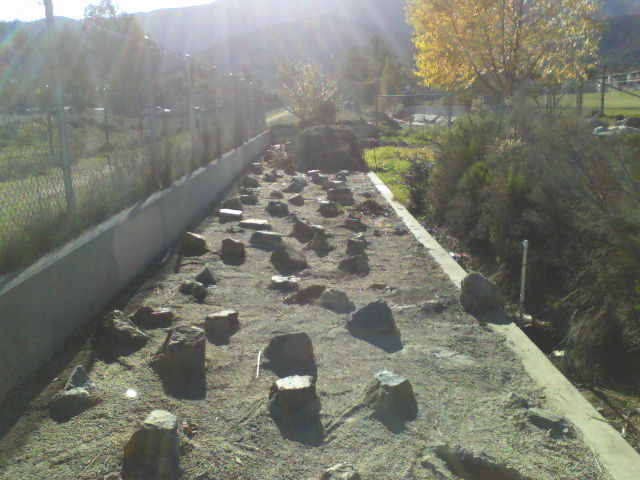 This entry was posted in Future City of Wildomar and tagged Future, Murrieta Creek, Planning, Wildomar on February 13, 2014 by Kenny. After attending the last “Wildomar Community Parks Funding Measure Citizen’s Oversight Advisory Committee” which was attended by all of 2 citizens, one being myself, I came away with some questions which I asked to be answered at the end of the meeting, as the usual format for the City of Wildomar was in place, a three minute diatribe before an item is discussed. 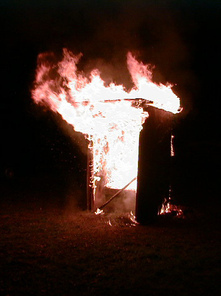 During the meeting it was discussed that a porta-potty would be placed at Windsong Park. 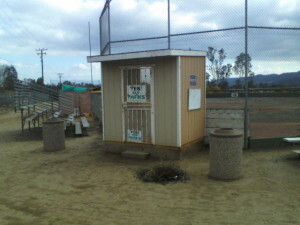 It would be a newer type of restroom facility, in place of the single unit that was used in the past. Like the one that was apparently tipped over a number of times and eventually set on fire costing the city $775.00 to replace. This newer type unit would be placed on a slab and possibly contain facilities for both sexes along with a place to wash up afterwards. The question I asked was “ Is there a stub-out for a sewer connection located at Windsong Park and if so where is it?”. It occurred to me that before a slab is placed it should be somewhere close to this possible future sewer connection so that money is not wasted when the park is eventually connected to the existing sewer system, which should be less costly than the monthly fee ($140 per month)to empty the single portable units. Some may ask why I would ask this question, the answer is HISTORY: Having moved to this valley before the “Windsong Tract” was built, I remember the controversy surrounding the requirement that parkland be dedicated, with the developer balking because we had no park district to accept and maintain it. The land was eventually dedicated in March of 1989 with this statement on Tract map 23196 “We hereby dedicate to public use for Park purposes, Lot 58. With that dedication the developer was required to provide all utilities to the site per the Quimby Act, along with the Elsinore Valley Municipal Water District requirement that when a sewer line is placed a stub-out or future connection be place to every parcel along its route. I was assured that this would be looked into and an answer forthcoming. I also followed up with the Chairman of the Oversight Committee via e-mail a couple of days later. Its now 2 weeks later with no answer. So much for asking city officials. This entry was posted in Parks and tagged Marna O'Brien, Regency Heritage, Windsong on February 5, 2014 by Kenny.